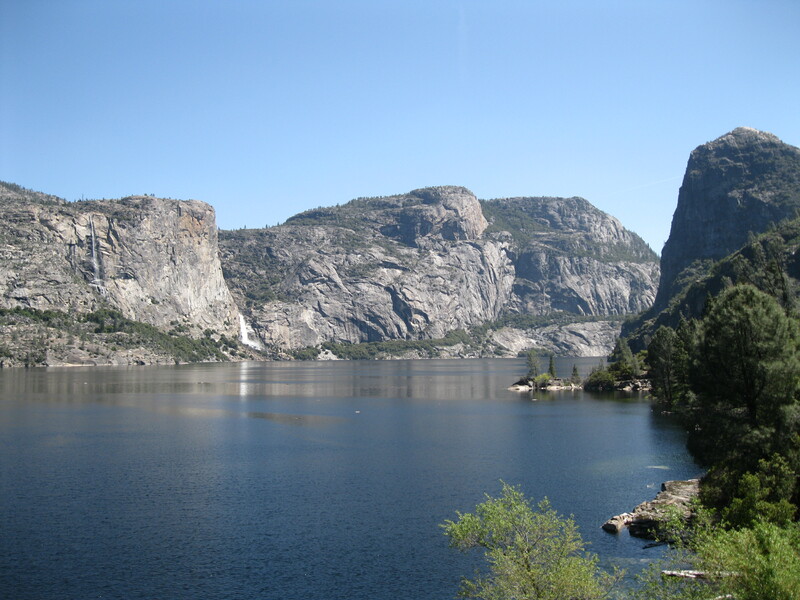 Today’s hike took place in the Hetch Hetchy area of Yosemite National Park. 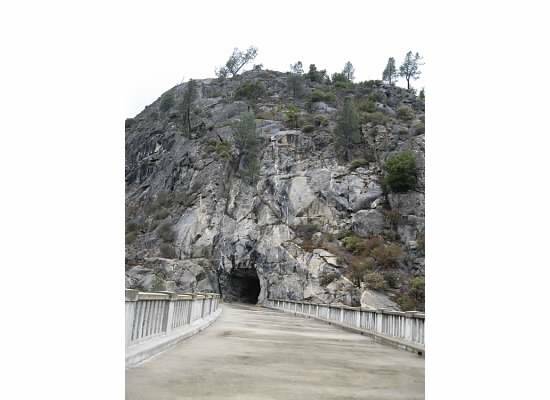 The trail was a maintenance road that veered off the O’Shaughnessy Dam and wove its way downhill to the valley floor. There was a good view of the spillway from the top of the gravel road. 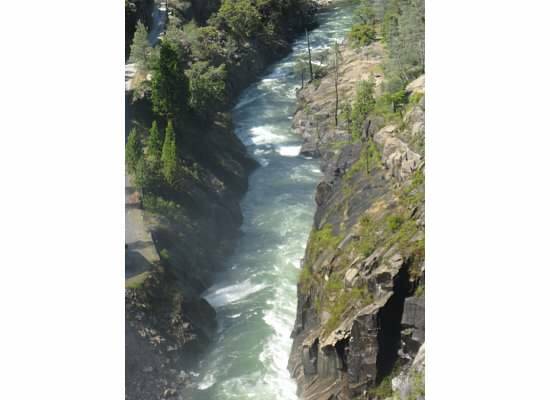 Looking down at the spillway and canyon. 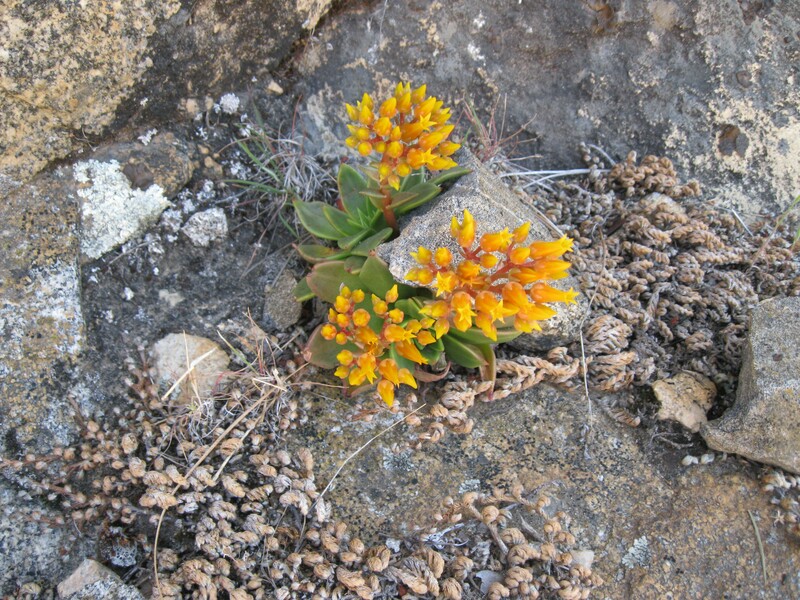 Colorful succulents adorned the rock wall that supported the parking area. 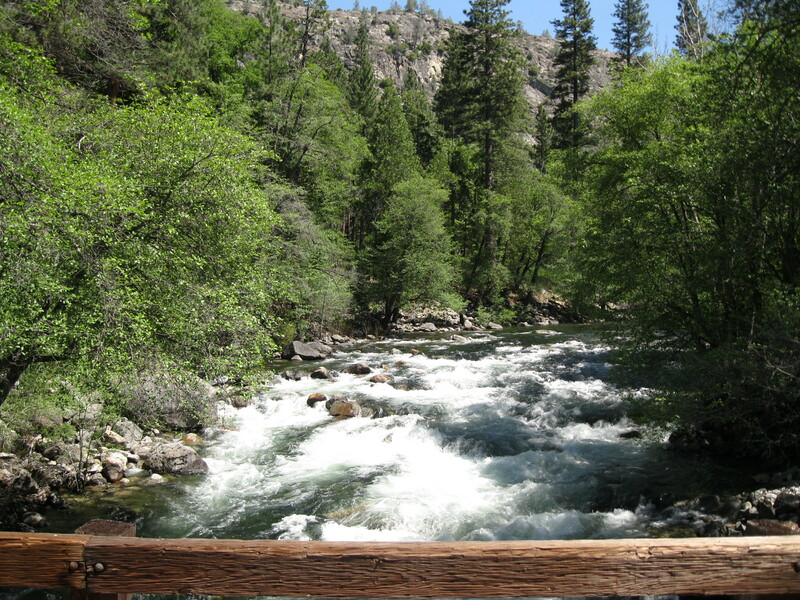 I walked in the hot sun the whole way and eventually came to a well-constructed bridge above the raging Tuolumne River. 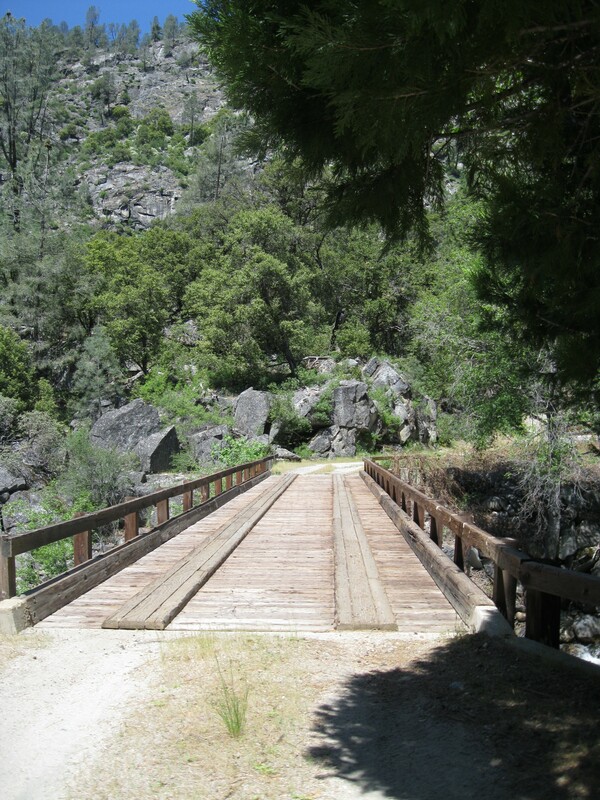 The bridge over the Tuolumne River. Looking north from the bridge. 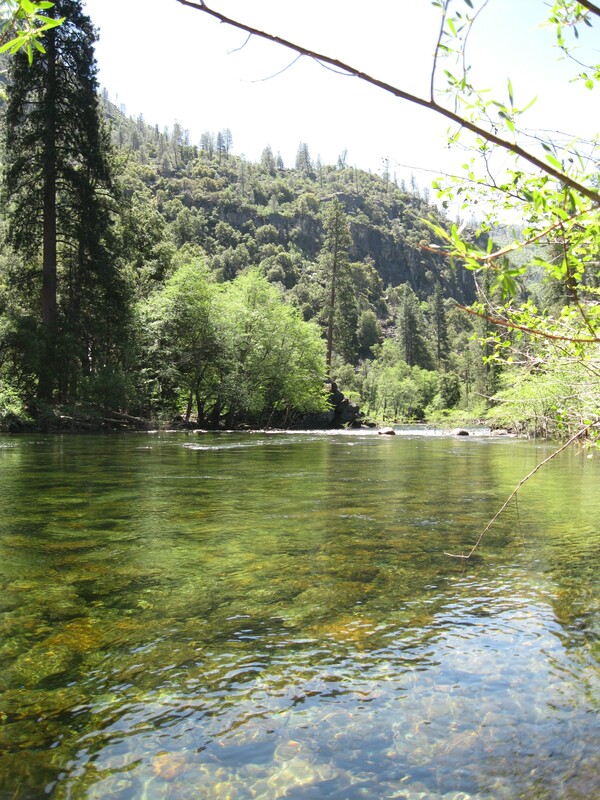 After crossing, I continued walking to the road’s end and came to a gauging station. 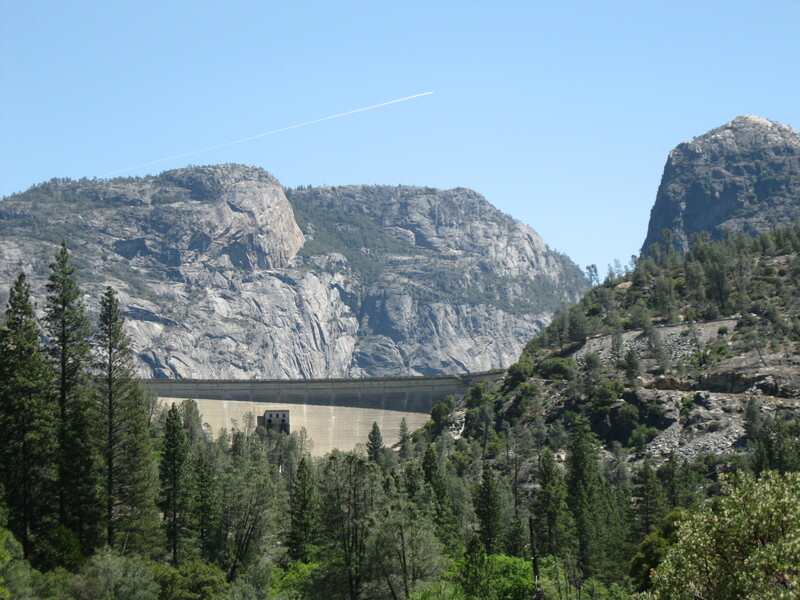 It was a pretty area filled with trees, grass, tiny wildflowers, and a beautiful view of Hetch Hetchy Dome, Kolana Rock and O’Shaughnessy Dam. Although the trail ended, I was not content to stop because I was hoping to reach the river. Nature made a crude downhill trail to the water. As I descended, a red salamander darted out of the rocks. At the bottom, trees bordered the river. I found a heavenly spot for lunch, a sandy beach next to the lazy moving river. I sat for a while before retracing my steps back…uphill all the way. What a grand day this was! 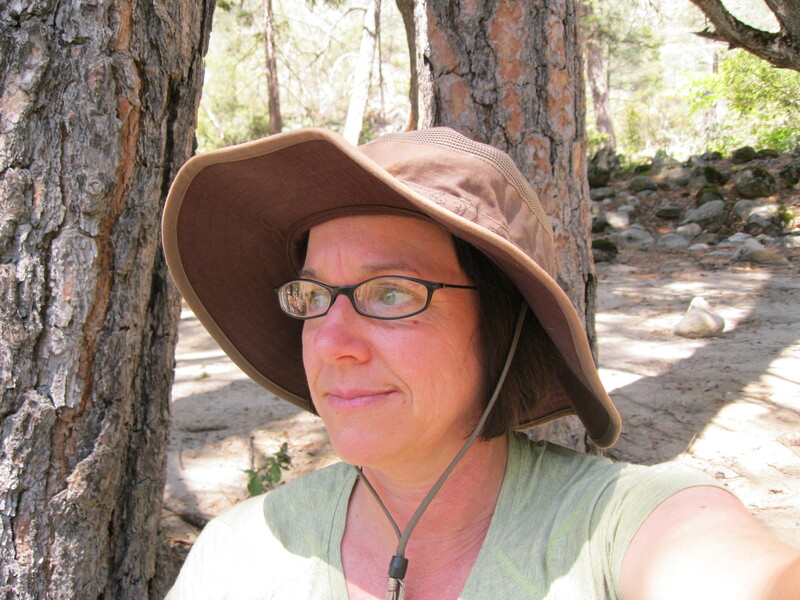 This entry was posted in Yosemite Hikes and tagged Hetch Hetchy, Hetch Hetchy Dome, Hiking, Kolana Rock, O'Shaunessy Dam, Tuolumne River, Yosemite on May 13, 2012 by Janet.